Spacewalk support personnel quickly teamed up for a solution to cover the Tranquility module’s port after a thermal and micrometeoroid shield was inadvertently lost during today’s spacewalk. 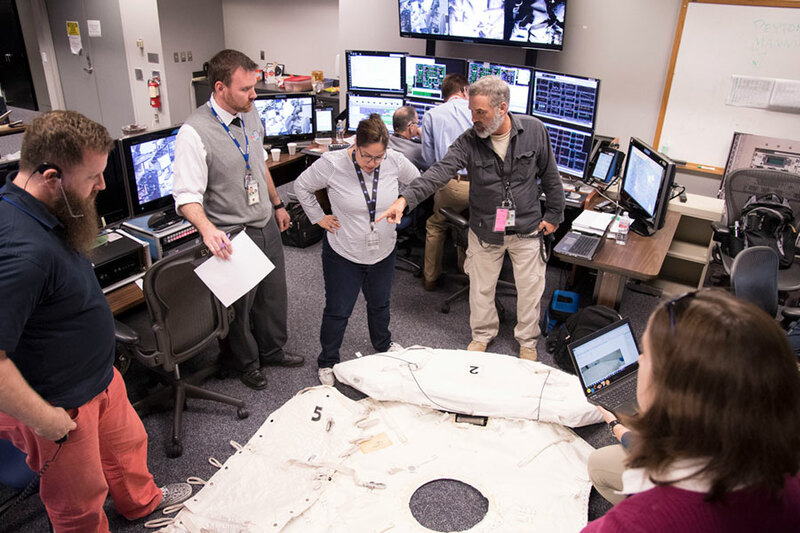 The team supporting EVA Officer John Mularski explored options in a room nearby Mission Control, and chose to install a cover that had been removed earlier from the Pressurized Mating Adapter-3. Expedition 50 Commander Shane Kimbrough and Flight Engineer Peggy Whitson of NASA concluded their spacewalk at 2:33 p.m. EDT. 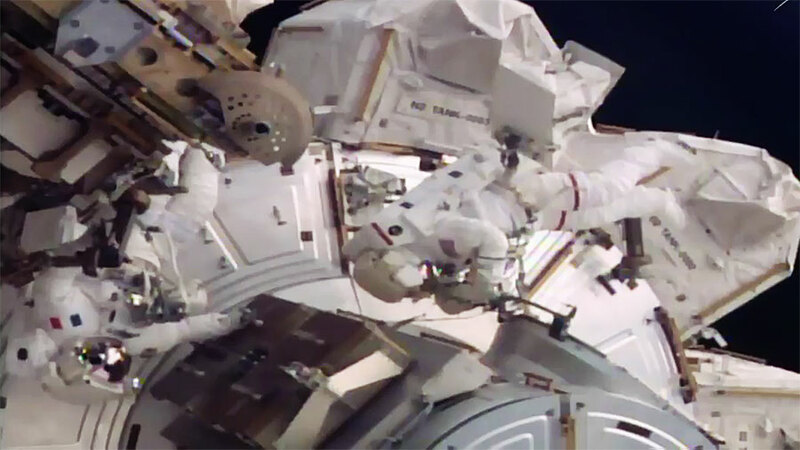 During the spacewalk, which lasted just over seven hours, the two astronauts successfully reconnected cables and electrical connections on the Pressurized Mating Adapter-3. PMA-3 will provide the pressurized interface between the station and the second of two international docking adapters to be delivered to the complex to support the dockings of U.S. commercial crew spacecraft in the future. Astronauts Peggy Whitson and Shane Kimbrough participate in a pre-breathe session before starting a spacewalk Jan. 6, 2017. 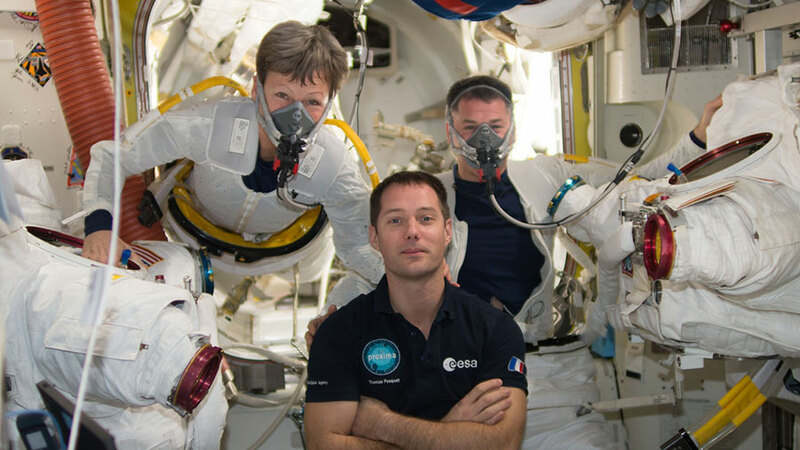 Astronaut Thomas Pesquet (foreground) assisted the duo. 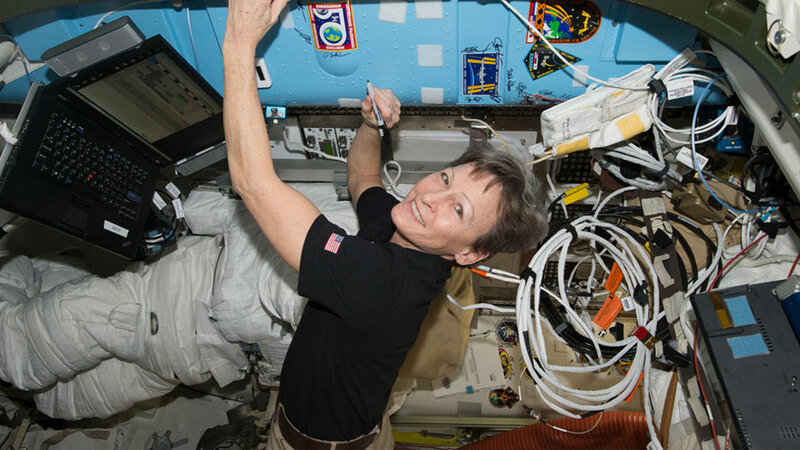 Expedition 50 Commander Shane Kimbrough and Flight Engineer Peggy Whitson of NASA will venture outside the International Space Station for a six-and-a-half hour spacewalk Thursday, March 30. The spacewalk will begin at about 8 a.m. EDT, with complete coverage on NASA Television and the agency’s website starting at 6:30 a.m.
Kimbrough and Whitson will reconnect cables and electrical connections on the Pressurized Mating Adapter-3 (PMA-3), which was robotically moved Sunday, March 26 from the Tranquility module to the Harmony module on station. The PMA-3 provides the pressurized interface between the station modules and the docking adapter. 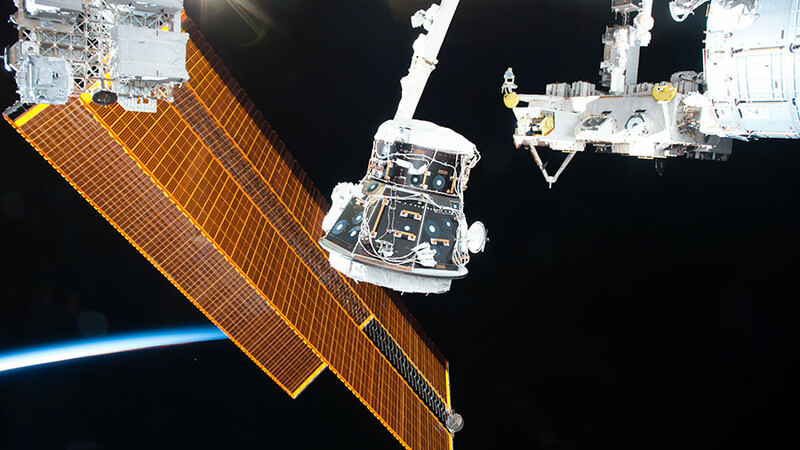 The duo will also install the second of the two upgraded computer relay boxes on the station’s truss and install shields and covers on PMA-3 and the now-vacant common berthing mechanism port on Tranquility. This will be the 199th spacewalk in support of space station assembly and maintenance. 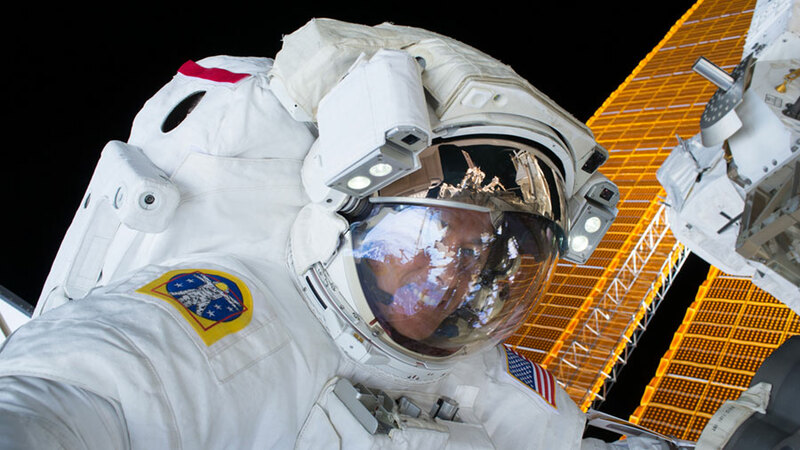 Kimbrough will embark on the sixth spacewalk of his career. 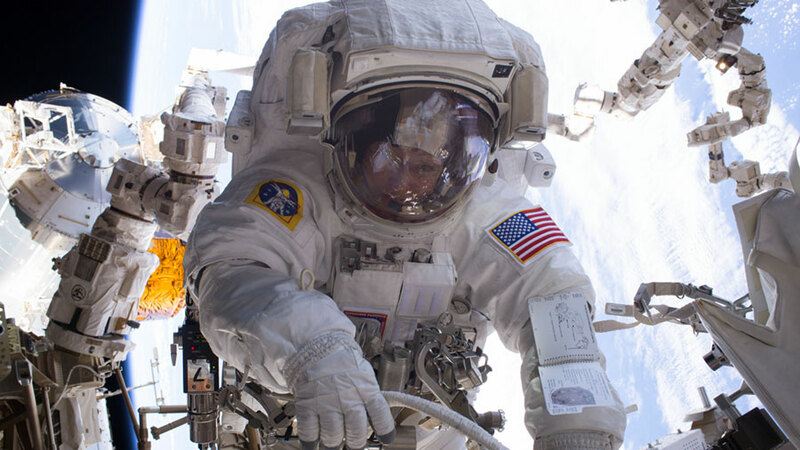 This will be the eighth spacewalk by Whitson, who will surpass NASA astronaut Suni Williams’ record for the most spacewalks by a female astronaut. 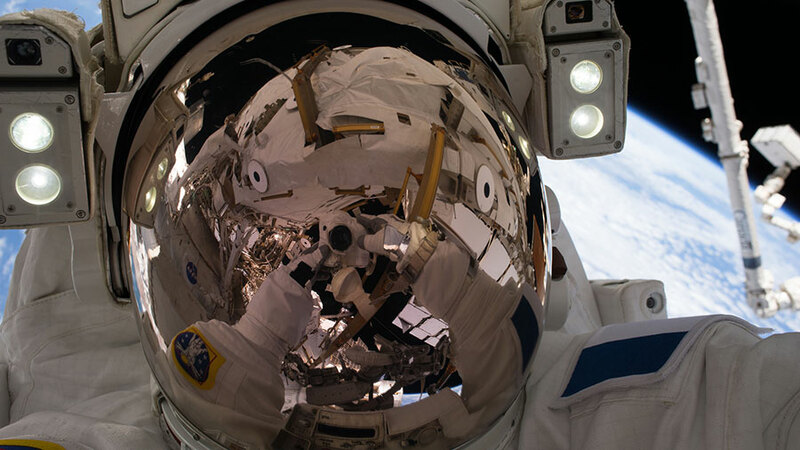 Spacewalker Thomas Pesquet took a selfie during a spacewalk on Jan. 13, 2017. 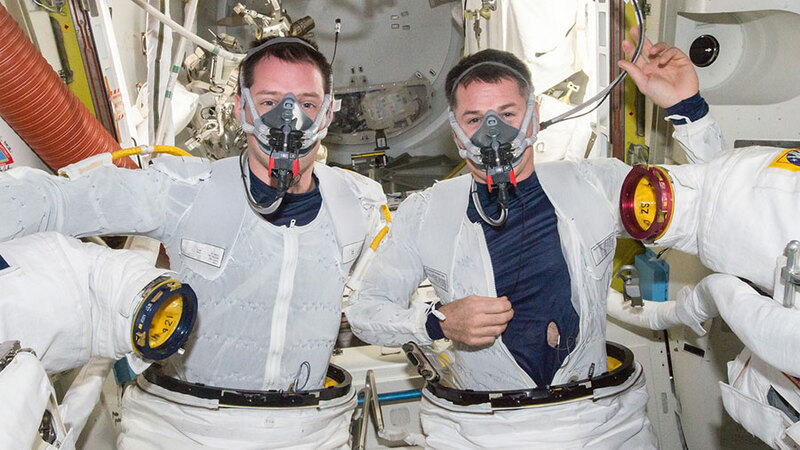 Two astronauts switched their spacesuits to battery power this morning at 7:24 a.m., EDT aboard the International Space Station to begin a spacewalk planned to last about six-and-a-half hours. Expedition 50 Commander Shane Kimbrough and Flight Engineer Thomas Pesquet of ESA (European Space Agency) will further prepare the space station for commercial spacecraft dockings, as well as perform maintenance and inspection. Kimbrough is designated extravehicular crewmember 1 (EV 1), wearing the suit bearing red stripes. 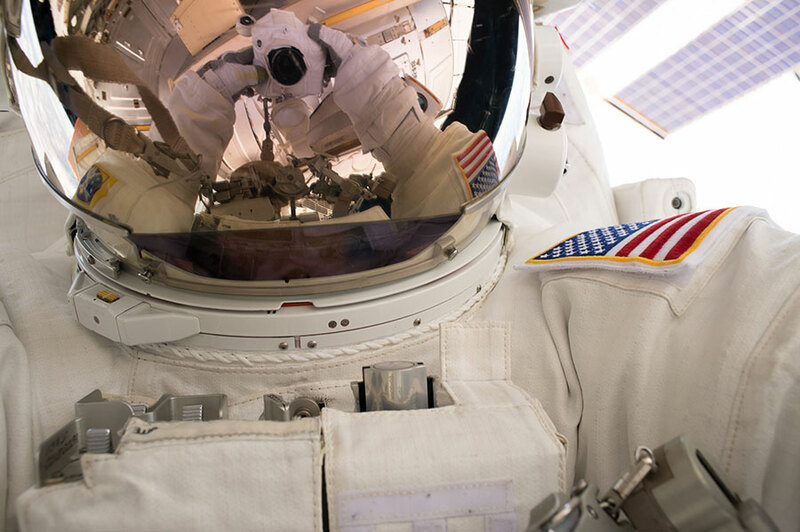 Pesquet is designated extravehicular crewmember 2 (EV 2), wearing the suit with no stripes.